Rep Training 101 is part of the six new training sessions in 2017 held for Electrolux Professional sales rep firms at the North American Headquarters. 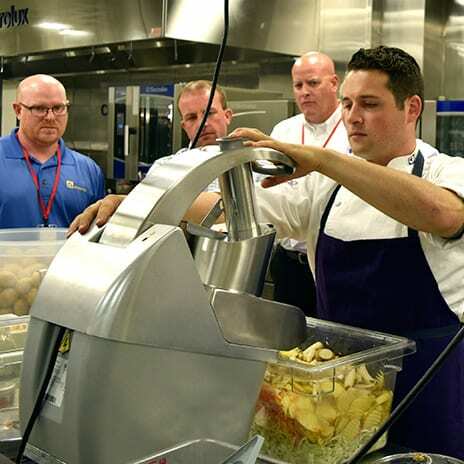 New sales reps from various rep firms all across North America were invited for in-depth product training and education including hands-on equipment demos preparing menu items with Executive Chef Corey Siegel. 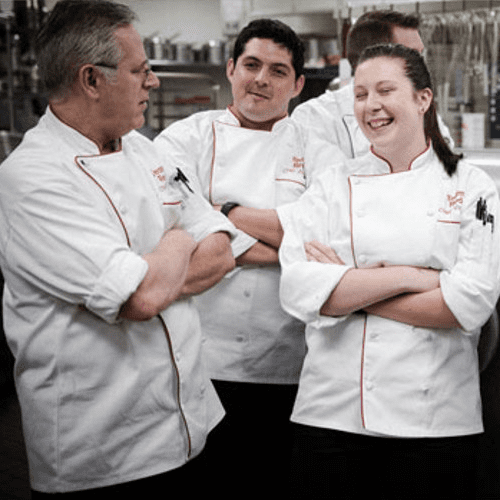 21 new sales reps worked in the test kitchen with the chef and prepared their own breakfast and lunch using the equipment they will be selling. 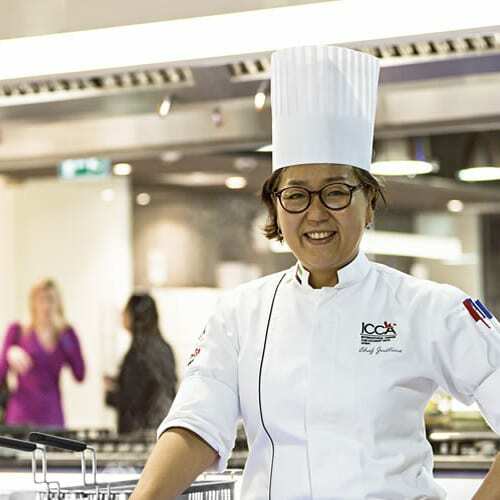 The two-day event was held May 9 and 10 and covered a variety of topics including product break-out sessions on cook & chill, SpeeDelight, thermaline, EMPower restaurant range series, food prep, dishwashing, Molteni, Kelvinator Commercial refrigeration and laundry solutions. Focused sales approaches to specific markets and chains were discussed as well as taking advantage of strategic marketing resources to help complete the sell. The end goal was to have each individual understand the Electrolux corporate culture and product portfolio to be able to communicate effectively to customers. All training sessions will be held at Electrolux Headquarters “Center of Excellence” – 10200 David Taylor Drive, Charlotte, NC 28262.